Walking around in your favorite video game worlds was probably a dream of every young gamer. 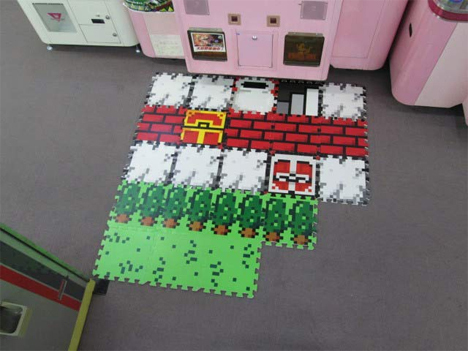 These floor mats from JBox can’t exactly put you into a game, but they can help you recreate one in your home. 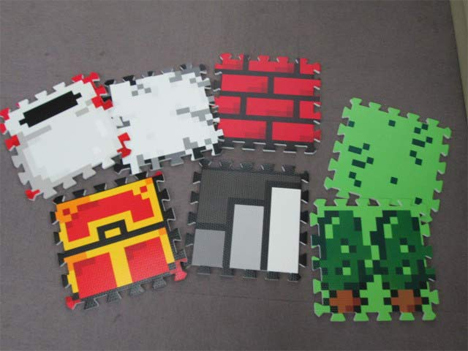 The Quest 8-Bit Mat Sets feature the recognizable blocky graphics we all know and love from the early days of video gaming. There are four sets, and each comes with four blocks. Two are “base” blocks (like grass) and two are “special” blocks (like treasure chests). The foam blocks all interlock to form a soft, cushy surface on which to sit and while away the hours playing vintage Super Mario Bros games. For just $6.85 a set, the blocks seem like a rather good deal…but you would need an awful lot of sets to re-floor your entire living room. 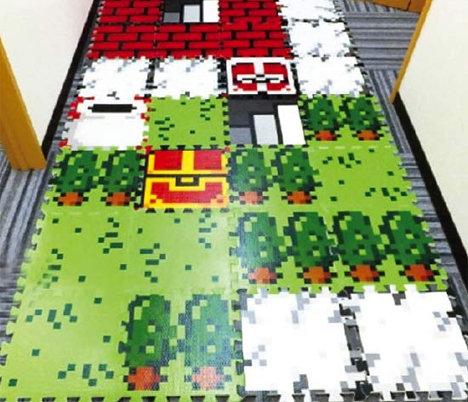 If you did manage that feat of nerdery (and questionable home decorating), you might just be able to play a life-size game of The Legend of Zelda with a few willing friends.